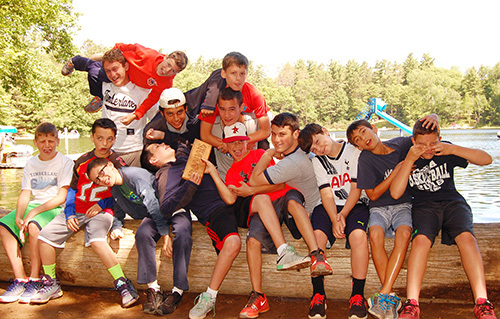 Cabin groups are the heart of social life at camp. An average cabin has from 8 - 12 campers, and 3 or 4 counselors. Each cabin counseling team includes at least one Senior Counselor, plus any combination of Junior Counselors and Counselors-in-Training. 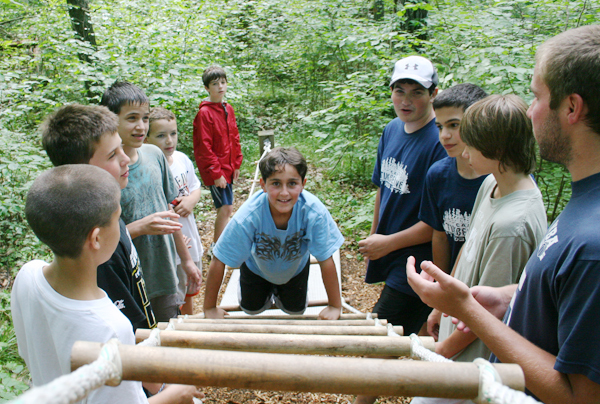 Although cabin life is a critically important part of camp, the campers choose an INDIVIDUALIZED activity schedule. So through their activities, kids mix with tons of other kids who are not in their cabin groups. Activity instructors are responsible for implementing the lesson plans and safety procedures for their activities, and caring for the equipment and facilities used in their activities. Most counselors will teach at least two different activities per day to infuse some variety, though they may have greater responsibilities in one than another. Activities are led by Activity Directors who help train and support their activity staff. To apply for an Cabin Counselor/Activity Instructor position, you should have very strong skills in one of the positions we have open, and you should complete our entire on-line staff application. 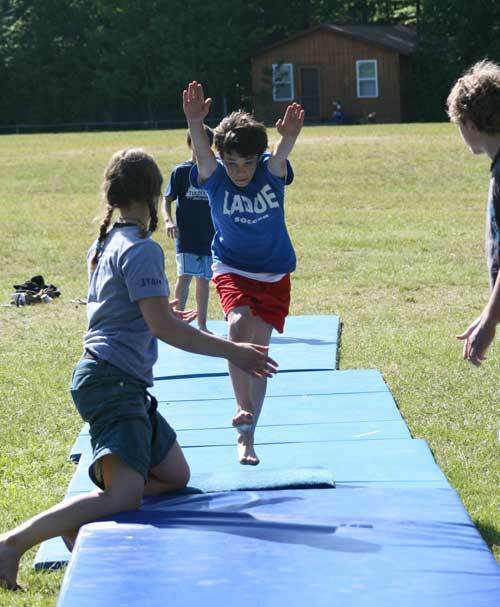 We have a huge range of activities that the campers can choose from. They choose 4 activities per series, and each series runs approximately one week. An Activity Specialist teaches activities and assists us in other areas when activities are not running. Specialists are hired for specific skills they have in an activity area, though often he or she will also help in other activities to provide some variety. Most activity specialist are female simply because, as a boys' camp, our male activity instructors also double as cabin counselors. That would, for obvious reasons, not be possible for our female instructors, so we call them specialists. To apply for an Activity Specialist position, you should have very strong skills in one of the positions we have open, and you should complete our entire on-line staff application. If you are willing to work hard, and want a job in a fun and enjoyable atmosphere, this could be it! Our Kitchen Staff helps to prepare hot & cold food, get it onto serving dishes for the kids to take to their tables, and manages our salad bars. Clean up work includes cleaning dishes in our commercial dish washer, washing pots & pans, and wiping counters and mopping floors. 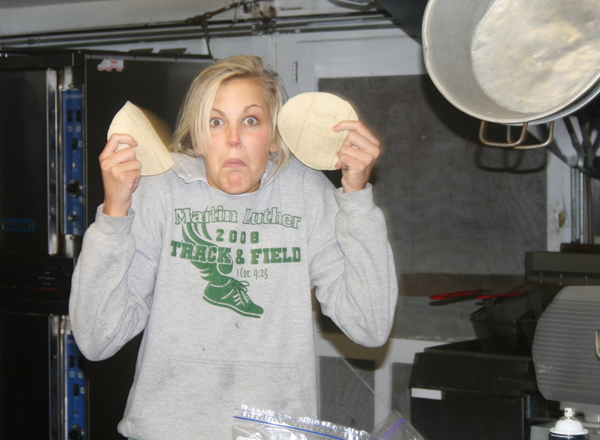 We serve approximately 240 people three meals per day, so there is a whole lot of prep and clean up to do! Our Lodge is a busy place three times a day. Kitchen Staff members work 5 days per week, so you will have time to use the camp facilities and enjoy the beauty of the North Woods. Our meals are served family style. The kitchen staff includes an Assistant Cook, Baker, and 7 utility staff to help with prep, service, and clean up. Our Kitchen Utility staff work 5 days per week. To apply for a Kitchen Staff position, you must be at least 18 years old, in good health, able to work as a team player and show initiative. Our on-line staff application is quite broad, so you need not complete the sections that refer to activity skill areas. If you are willing to work hard, and want a job in a fun and enjoyable atmosphere, this job is perfect! Our Maintenance Staff helps to keep camp clean and in one piece. Our maintenance staff includes our caretaker who has been with us for over 15 years, and two seasonal staff members. Much of this job is custodial work, including sweeping our Lodge after meals, cleaning three common bathrooms, and keeping the grounds clean. Other duties may include light carpentry, general care of our camp vans (fueling, checking oil, etc. ), and the occasional unclogging of a stubborn toilet. 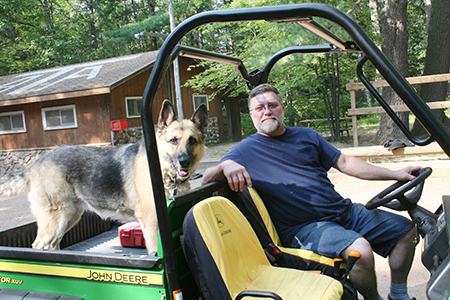 And our Maintenance staff periodically drives out and picks up trips with campers and trip leaders in our camp vans. To apply for a Maintenance Staff position, you must be at least 21 years old, in good health with a valid driver's license and clean driving record, able to work as a team player and show initiative. Our on-line staff application is quite broad, so you need not complete the sections that refer to activity skill areas. Whereas cabin counselors have the most continuous contact with one group of kids, trip leaders have the opportunity to take kids further out of their comfort zone on fantastic trips to some absolutely beautiful places. Click here to learn much more about our wilderness trips, our trip leaders, and the phenomenal training we provide. To apply for an Wilderness Trip Leader position, you should have very strong skills in camping, and one or more of the following: river canoeing, lake canoeing, or rock climbing. Bear in mind we require our trip leaders to have current lifeguard certification and Wilderness First Responder certification. We provide a substantially subsidized WFR class for our trip leaders. Please apply by completing our entire on-line staff application. To apply for a Camp Nurse position, you must be a R.N. with the ability to transfer your license to Wisconsin. We will reimburse for expenses incurred to transfer licenses to Wisconsin, if applicable. Our on-line staff application is quite broad, so you need not complete the sections that refer to activity skill areas. If you want a challenging summer job working in a fun and relaxed atmosphere, this is it! 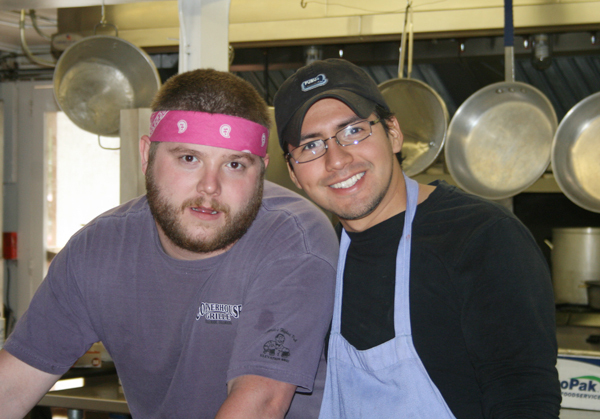 Our Kitchen Manager plans menus, controls inventory, and supervises all kitchen operations. Our Head Cook also oversees kitchen operations and directly supervises the staff. We serve approximately 240 people three meals per day, so this is a position with a tremendous amount of responsibility and a great deal of autonomy. You will have time to use the camp facilities and enjoy the beauty of the North Woods. Our Lodge kitchen has gas ovens, an electric convection oven, multiple stove tops, flat gridle, and fryer. Storage includes a small "warehouse," walk-in cooler, and walk-in freezer. There is ample room for food prep and clean up. Our meals are served family style. The kitchen staff includes an Assistant Cook, and 8 utility staff to help with prep, service, and clean up. To apply for the Kitchen Manager or Head Cook position, you must have extensive commercial cooking experience, preferably in institutional settings. 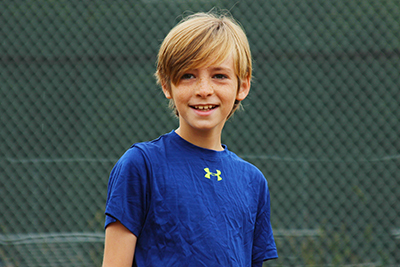 Our on-line staff application is quite broad, so you need not complete the sections that refer to activity skill areas. If you enjoy cooking or baking and want to work in a fun and relaxed atmosphere, this is the right job! This job is almost all cooking or baking, depending on your skills. Our Kitchen Manager plans the menus and controls inventory, and our Head Cook oversees operations, so the Assistant Cook can focus on their duties. We serve approximately 240 people three meals per day, so there is a whole lot of cooking and baking going on! 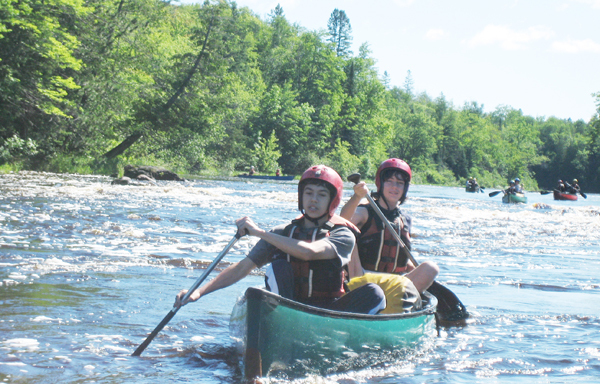 You will have time to use the camp facilities and enjoy the beauty of the North Woods. Our meals are served family style. The kitchen staff includes an Assistant Cook, Baker, and 8 utility staff to help with prep, service, and clean up. To apply for the Assistant Cook position, you must have extensive commercial cooking experience, preferably in institutional settings or in banquet or line cooking. It is also helpful to have extensive commercial baking experience, and be competent in baking breads, cakes, pies, etc. Our on-line staff application is quite broad, so you need not complete the sections that refer to activity skill areas.